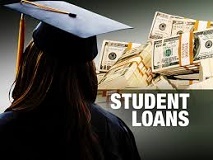 MADISON – Last week, several Democratic proposals that would provide real relief for current college students and the more than one million Wisconsin borrowers with student loan debt, were rejected by committee Republicans in Madison. Wisconsin ranks third-worst in the nation in student loan debt based upon a recent Institute for College Access & Success, 2015 report. These proposals would have provided meaningful financial relief for the hundreds of thousands of Wisconsin citizens saddled with student loan debt. Student loan debt is holding back our economy, and the proposals to invest in students and schools, while lowering monthly payments for borrowers, would boost the middle class and small businesses by putting more money into the pockets of hardworking Wisconsinites. Provide need-based grants to students participating in unpaid internships. The student loan crisis is perhaps the biggest issue facing our state today. Its impact on the economy costs businesses and our economy hundreds of millions of dollars per year and the jobs those millions would create. Nearly 60% of student loan holders in Wisconsin are over the age of 30, the age at which people look to start families, buy new homes and cars. Research has shown that the student loan crisis is costing our economy over $200 million per year in lost new car sales alone. 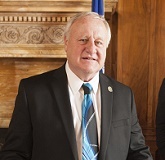 According to Senator Dave Hansen of Green Bay, co-author of the State's Higher Ed., Lower Debt bill, Walker’s opposition to reasonable student loan refinancing will continue to be a drag on Wisconsin's economy. The anemic plan Governor Walker and legislative Republicans put forward pales in comparison to their massive cuts to education and job training. According to a recent memo from the non-partisan Legislative Fiscal Bureau, Republicans have cut more than $2 billion in state funding from our public schools, universities and technical schools over the past five years.